We offer a walk in Private Flu Vaccination service for adults above the age of 18, no appointment necessary. You will be asked to fill in a short questionnaire to ensure the vaccination is safe and appropriate for you to have. Our pharmacist will review the information and then answer any questions you may have, before administrating the vaccination. You will be asked to wait for 5-10 minutes afterwards to ensure that you have had no immediate reaction to the vaccination and will be given some advice as to how to manage any pain, fever or discomfort you may develop post vaccination. YOU WILL ALSO BE GIVEN THE NUMBER OF A 24 HOUR MEDICAL HELPLINE SHOULD YOU HAVE ANY CONCERNS OR SIDE EFFECTS AFTER THE INJECTION – WHERE YOU CAN SPEAK TO ONE OF OUR DOCTORS. Corporate Flu Vaccination Service For your Business. Seasonal flu can hit any business, impacting on YOUR most important asset – your People. Mychem Ltd provide a flu vaccination service for UK businesses which can help save your business thousands of pounds in lost time and productivity, costing you less than you think. A corporate flu service solution with clinical excellence at it’s core. Protecting your staff with flu vaccination reduces winter absenteeism, keeping your organisation running smoothly & saving you money. Offering your staff the flu jab shows your commitment to keeping staff healthly at work and at home. Let Mychem Ltd defend your organisation, our ON-SITE flu jab services provides the best protection against flu-related absence. Call us now on 01621 860 511 to let us show you how we can help protect your business. Remember we come to you, all we need to know is how many staff you want to vaccinate and we do the rest. Our service also includes a 24hr medical helpline for staff who have been vaccinated that may require any further help day or night. The best time to vaccinate is between mid-September and December, contact us now for a FREE quote and to book your vaccinations today. Why Vaccinate against Seasonal Flu? Each year the virus is slightly different, its severity is unpredictable. Some flu seasons are worse than others. It depends on the type of flu virus going around and the number of people who are susceptible to it each winter. Thankfully for the majority of people influenza is not a serious illness and they recover fully within one or two weeks. However, in some people complications develop leading to more serious illnesses. All 'at risk' groups are eligible to receive free flu jabs from the National Health Service. The Department of Health runs an annual campaign to encourage as many of these people as possible to have a jab. Our service helps you complement this programme by offering vaccinations to people through their workplace. Avoiding the flu virus on crowded buses and trains or in an office environment is hard. 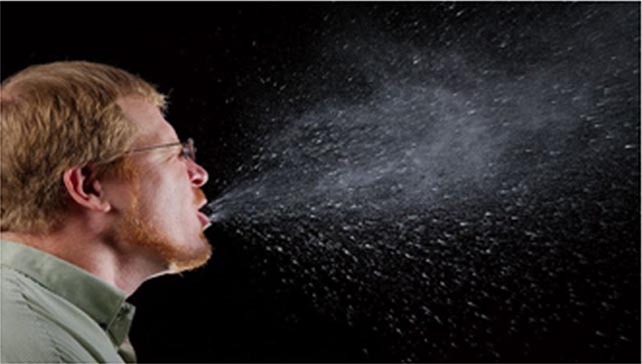 Flu is highly infectious and is passed on through sneezing, coughing and hand contact, as well as indirectly from touching infected door handles, telephones etc. Offering your staff a flu jab has a number of benefits - decreasing employee absenteeism and maintaining productivity in your workforce; demonstrating commitment to employee health both in work and at home; playing a part in helping to protect families and the wider community. The vaccine is very safe and effective. It protects against the viral strains advised by the World Health Organisation (WHO) as being the most likely to attack the UK. In 2010 it will also protect against swine flu. After about a week, the vaccine produces antibodies (chemicals in the blood) that protect against the virus strains. 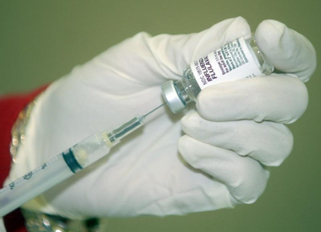 Current vaccines give 70-90% protection against flu. For those who may still get flu, the illness is often milder.